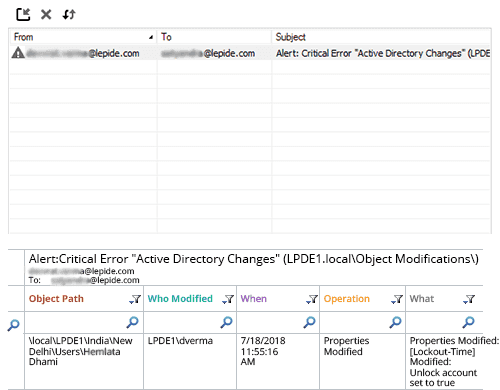 Better handle Active Directory auditing and permission change tracking with LepideAuditor for Active Directory. We believe that all organizations, irrespective of size, sector or budget, should be able to conduct Active Directory auditing easily. However, the native auditing methods can be both complex and time consuming; testing the patience of even the most experienced Information Technology Auditors and IT Administrators. Multiple issues, including inadequate options for long-term storage of logs, too much noise, duplicate events and the absence of predefined reports, are more than enough to justify an alternative. 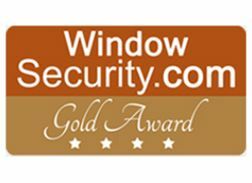 Our award-winning Active Directory auditing solution provides a scalable means to track configuration changes. We provide answers to the important IT auditing questions; such as “who has made what change, when and from where”, “Who was the last user to access or logoff from the domain controller” and more. We also enable you to see who received administrative privileges or which users used to be admins. 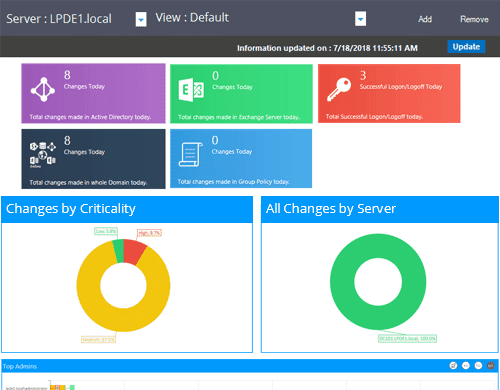 Deploying an Active Directory auditing solution, like LepideAuditor, can help you monitor, detect and alert on suspicious or unwanted Active Directory changes. Through a combination of real-time monitoring, pre-defined reports and powerful alerting capabilities, LepideAuditor enables you to get better visibility into Active Directory changes. Here are just some ways in which LepideAuditor can help your business. Intuitive Dashboard Auditing is a continuous process that should be performed 24/7. With in-depth change configuration auditing, LepideAuditor offers a 360º Radar Tab, that gives you a bird’s eye view of your whole Active Directory environment. Instantly see a summary of the total number of changes per administrator, per source and even by trend to help you identify change/event anomalies. Easily see critical information about the performance of specified servers to help you identify any potential continuity or performance issues. Our LiveFeed feature enables you to see all changes being made in real time to ensure that you are constantly aware of what’s happening in your critical IT servers. Alerts on Critical Changes Half the battle for IT teams is ensuring they understand when things are happening to make relevant decisions as to whether action is required. To address this, we offer two types of alerting mechanisms – one is real-time alerting, which alerts you about critical changes in real-time, and the other is threshold-based alerts, where you can define the threshold limit for every change. For example, we can send you a single alert if 10 similar changes occur in 5 minutes. This helps potentially spot suspicious behaviour or anomalies within the IT environment. The alerts are delivered as emails to selected recipients, as updates to Radar Tab to give you an overall view of the environment, and as notifications to LepideAuditor App. LepideAuditor for Active Directory audits every aspect of Active Directory. Every change made in the Active Directory environment is monitored, recorded, and presented in minute detail. Before-and-after-values of every configuration change are provided in a readable format. The answers to the coveted W’s of auditing (Who made What change, When, and Where) are just a few clicks away. 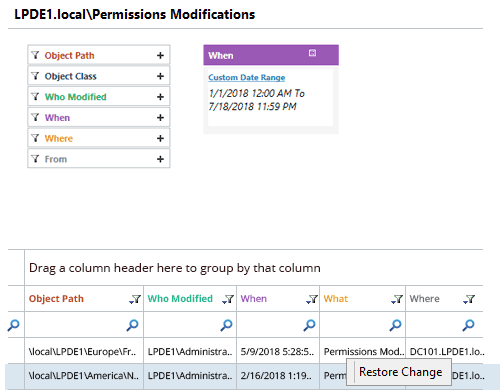 Whenever permissions change, you need to be aware of it. 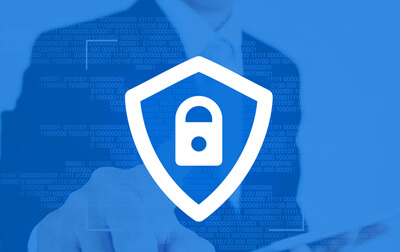 Our Active Directory auditing solution keeps track of every permission change in the Active Directory, records it in its granular reports, and sends real-time or threshold-based alerts for such critical changes. It also allows you to view all permissions to an object and compare the permissions of an object between two dates. 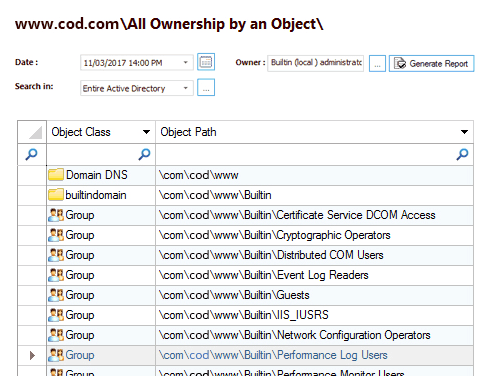 All effective permissions held by an Active Directory Object are also displayed. You can also conduct historical permission analysis between two specific time intervals. You can easily reverse the unwanted permission changes to an ideal state (that you have defined and captured earlier). 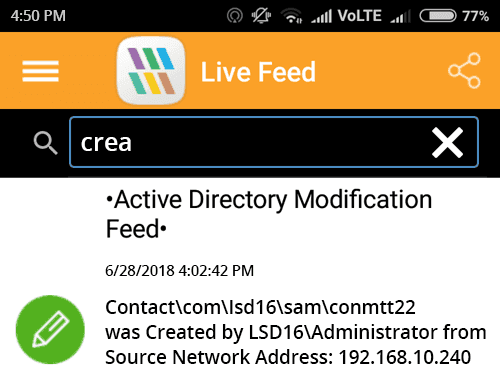 Lepide Active Directory Auditor offers you dedicated reports to help keep track of the security settings of Active Directory objects. In addition to permissions, you can also compare audit settings, and ownership of an object between intervals. You have the option to track all changes made in audit settings and object ownerships, and also view them on any particular date. Our solution lets you search for an object in the audit entries or see a list of owners of a selected object. 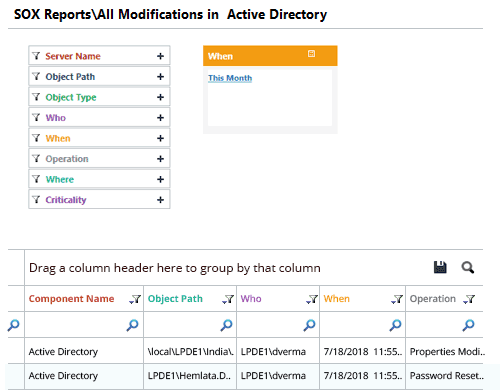 LepideAuditor for Active Directory lets you track the members of administrative groups in Active Directory to give you a clear picture of the privileged users. Our solution also offers a way to track all activities of Active Directory privileged users and sends real-time or threshold-based alerts for any critical change made by a privileged user account. 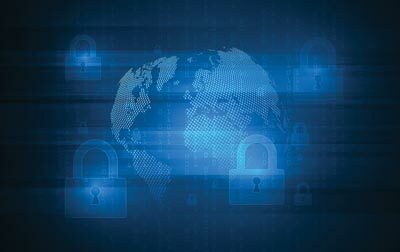 In any IT environment, it is advised that you lock accounts that are inactive for a long period of time or on which suspicious activities were taking place. However, locking an Active Directory user account can impact other activities linked to that account, which could be a mess left to the IT team to clean up. 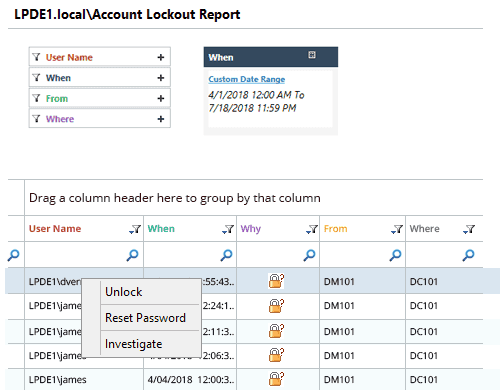 LepideAuditor for Active Directory comes helps you better handle user account lockouts, by auditing the account lockouts and providing the option to unlock or reset their passwords. You can also investigate which tasks, services, or processes will be impacted because of this account lockout. An IT Administrator must always know which user has logged on or logged off, when, and from where. Getting logon/logoff details for all users from the Event Viewer is like looking for a needle in a haystack. Lepide Active Directory Auditor simplifies this search with simple yet detailed Active Directory audit reports on user logon and logoff. 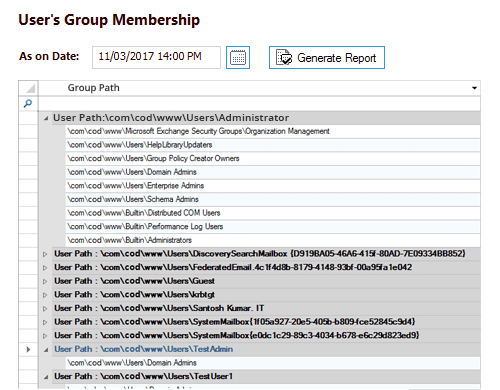 With these reports, you can audit failed logon events, concurrent logon sessions, and users logged on to multiple computers. 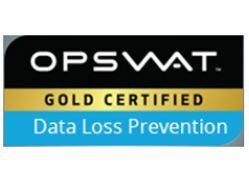 Our solution also sends real-time and threshold-based alerts for successful user logon or logoff, and domain controller logon or logoff. 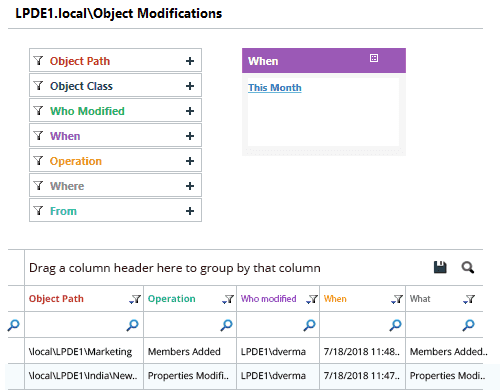 LepideAuditor for Active Directory periodically captures backup snapshots of Active Directory objects and saves their state. 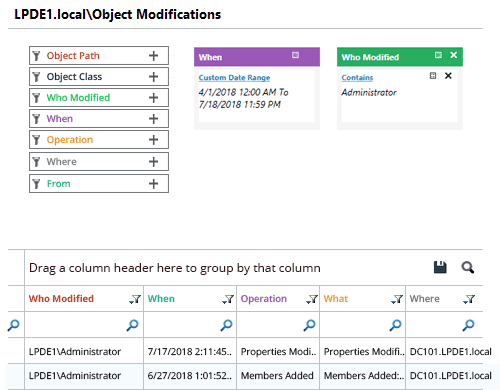 You can use these snapshots to generate historical reports on the state of users, groups, computers, and organizational units (the four important objects) at any given point in time. 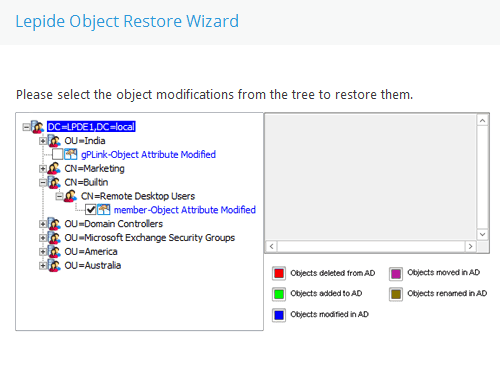 It gives you a clear picture of exactly when any of these objects were created or modified and what it’s properties are. 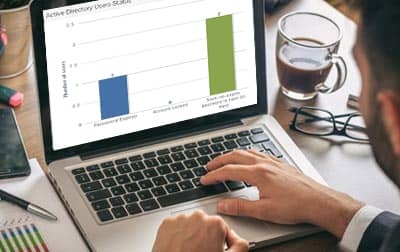 Save time by automating the management of inactive user and computer accounts. Move them to different OU, reset their passwords, disable them or simply delete them. Reduce the number of password-related help desk calls by sending automatic email notifications to users with soon-to-expire passwords, allowing them to reset their password on time. Keep an eye on the health of your Active Directory and receive real time alerts straight to your inbox for NT Directory services, DNS Servers, Disk space and much more.